The payment Method we accept as Telegraphic Transfer ( or wire transfer), Irrevocable Letter of Credit at sight, Western Union, MoneyGram and PayPal. Western Union is a person-to-person payment transfer service. It means the both of the Sender and Receiver must be a person (NOT A COMPANY), otherwise, we can not get the payment. After you finish it, pls tell us MTCN (Money Transfer Control Number), your family name, given name, city name where you send the money so that we could get the money from local banks. 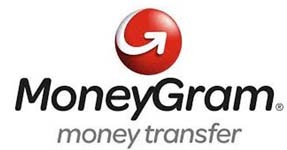 MoneyGram is a also person-to-person payment transfer service. It means the both of the Sender and Receiver must be a person (NOT A COMPANY), otherwise, we can not get the payment. After you finish it, pls tell us Reference Number, your family name, given name, city name where you send the money so that we could get the money from local banks. We have regular stock of this machine so that we could ship it out immediately by TNT once we receive the payment.We will tell you TNT tracking number as well. Note: Transfer the payment to other person rather than HAIBAO LEI might be risky for you and it's also not guaranteed.